When life gives you lemons… Go to Lemonfest! No need to be sour… Devon’s boutique festival is back again to sweeten up your summer! We won’t lie to you - the festival game is getting pretty saturated, with big names recurring year after year as well as a whole host of smaller events popping up all over the place, filling almost every field in the country with colourful tents and welly boot-wearing music fans. While we’re definitely not complaining, this abundance of possibilities can make it hard to know where best to spend your hard-earned cash, and more importantly, your only weekend off! You’re not alone if you’re growing slightly tired of the over-crowdedness and eternally increasing prices of mainstream festivals, which is why the small festival scene has – ironically – been on the rise over the previous few years. Revellers all over the country are deciding to opt for independent festivals over the industry’s leading names, in the hopes of filling their precious weekend off with a little more fun and a little less queueing. When it comes to independent festivals, there’s one that stands out as being truly unique, and that’s Lemonfest. 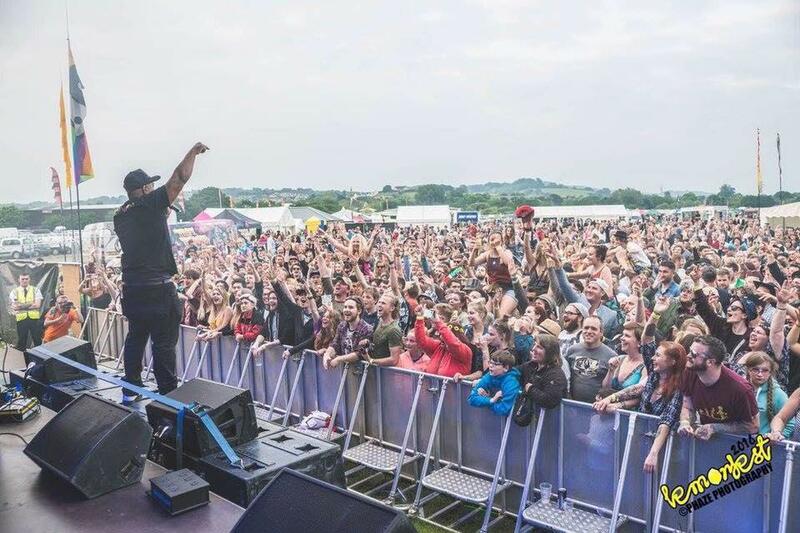 Returning this summer for its eighth triumphant year, Lemonfest will take place on Devon’s grassy Newton Abbot Racecourse and feature acts from around the world that share one simple passion: music. Lemonfest is no stranger to some of the industry’s most sought-after alternative music acts, and this year is no exception. Kicking things off on Friday 8th will be none other than electronic group Slamboree who, come Lemonfest, will be performing in the wake of their new album release just seven days prior (so you have a week to perfect your dance moves!). Also getting the party started on Friday will be a set from Crazy P Soundsystem who have become renowned for fusing the slinky sounds of underground disco with the deep bass of electronica, adding just a dash of pop for good measure. What a weekend this is shaping up to be already! Things don’t slow down on Sunday either, in fact, they’re getting kicked up a notch with a headlining performance from – brace yourself – The Sugar Hill Gang! That’s right, the American hip-hop legends will be gracing the main stage at Lemonfest reminding us all that their old-school sound simply cannot be beaten. Fingers crossed for the full 15-minute version of Rapper’s Delight! We know, we know… The headliners are amazing, but this is Lemonfest, so there’s plenty more where that came from! In fact, Lemonfest has curated five more stages to keep partygoers entertained all weekend long, showcasing genres from drum & bass and dubstep to rock and ragga, with big names including electronic artist TC and dance musician Traumatik. Hot on their heels will be English jungle duo, Ragga Twins, an old-school jungle set from Mr. Nice and a turntabling session from the prolific DJ Woody. The great thing about independent, boutique festivals is the variation of acts on offer, and this is perfectly displayed at Lemonfest, which manages to span all genres under one roof (even if it is a tent roof). No act is more unique than the Hackney Colliery Band, who describe themselves as London’s contemporary alternative to the marching bands of New Orleans, and if that doesn’t scream “festival” then I don’t know what does! Also taking to the stage during the weekend will be grime MC, Afrikan Boy, whose sound has often been described as the perfect fusion of grime, hip-hop and afrobeat, so we’re sure his set will be one to remember. As if you needed any more persuasion, Lemonfest is the perfect way to kick off your summer and is truly our festival of choice! Tickets are selling fast with many already sold out, so grab yours while you still can! Get clicking https://lemonfest.seetickets.c om/event/lemonfest-2018/newton -abbot-racecourse/1198593/ and we’ll see you on the racecourse!